You are currently browsing the archives for the tag 'jaeger-lecoultre'. 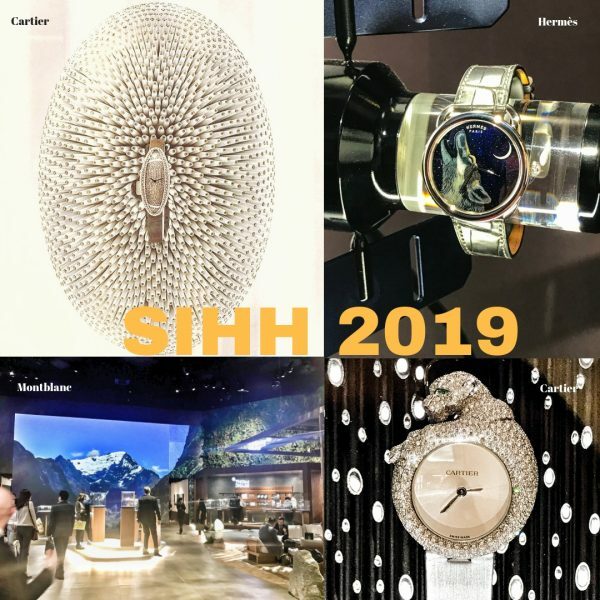 Personally speaking, SIHH in Geneva, the famous Swiss watch trade fair, is one of the most enjoyable events of my yearly must-dos. Nevertheless, a lot has changed during the past years. 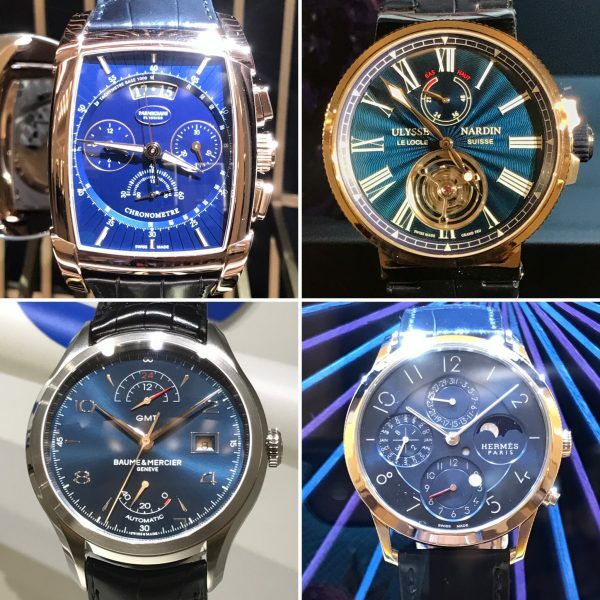 In 2020, the so-called Salon Internationale de la Haute Horlogerie will take place in May right after Baselworld. It makes sense especially for all the visitors from abroad to come only once to Switzerland. 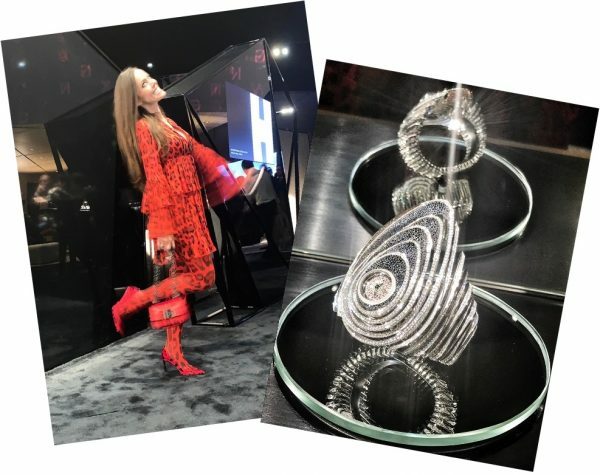 This year, Van Cleef & Arpels decided not to be exhibiting due to the little business the brand has with retailers and distributors. Two other luxury watch brands, Richard Mille and Audemars Piguet, are leaving next year for similar reasons. It seems that most of the prestigious watch companies are dealing more and more directly with their consumers. Happy Sandra after seeing Audemars Piguet’s amazing high jewellery watch Sapphire Orbe (a detailed post to follow). In the meantime others joined the exhibition for the first time, for example Bovet, known for their handmade watches with artistic finishes and highly complicated movements. In addition, Breitling and Bucherer recently became members of the Fondation de la Haute Horlogerie (FHH), which manages SIHH. 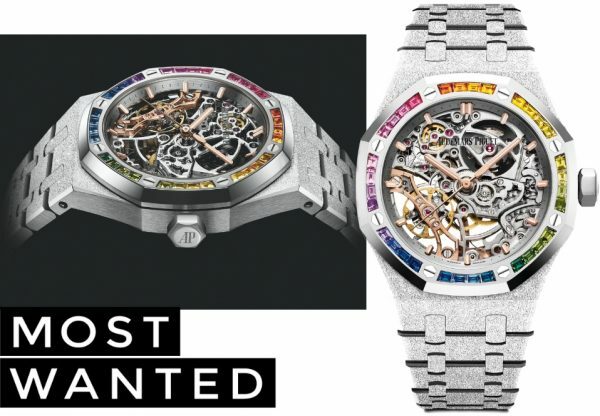 This might be the first step in replacing Richard Mille and Audemars Piguet for 2020. 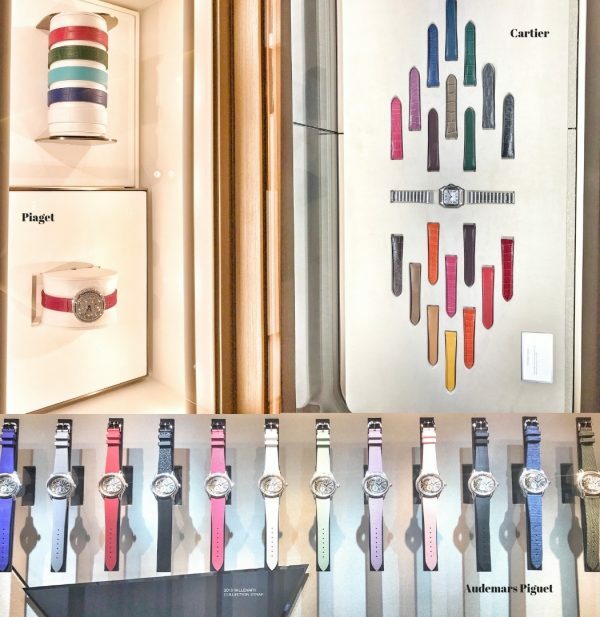 Still trending: Colourful straps as seen at Piaget, Cartier and Audemars Piguet. But most importantly what will we wear in 2019? 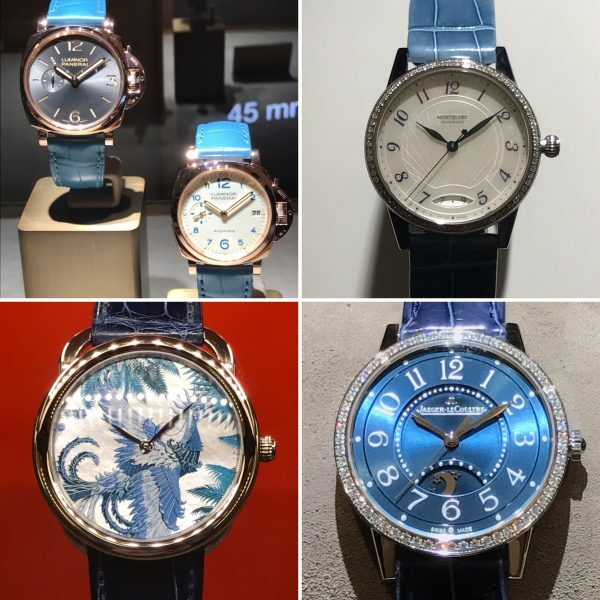 Cuff watches, tourbillons, dial sets with miniature paintings, skeleton movements, shaped cases and still lots of celestial influences… Below are some of my favorite ladies’ watches revealed during the 29th Salon Internationale de la Haute Horlogerie. A watch that is brilliant in every way. White “frosted gold”, 37mm, manual winding manufacture skeleton movement with a rainbow magic of its 32 baguette-cut sapphires (2.24 carats). MY FAVORITE! Fancy a little watchmaking sweetness to help you through the winter? The coolest booth for the fastest girls in the world. Pink gold set with diamonds, 36mm, flying tourbillon, skeleton manual winding movement. 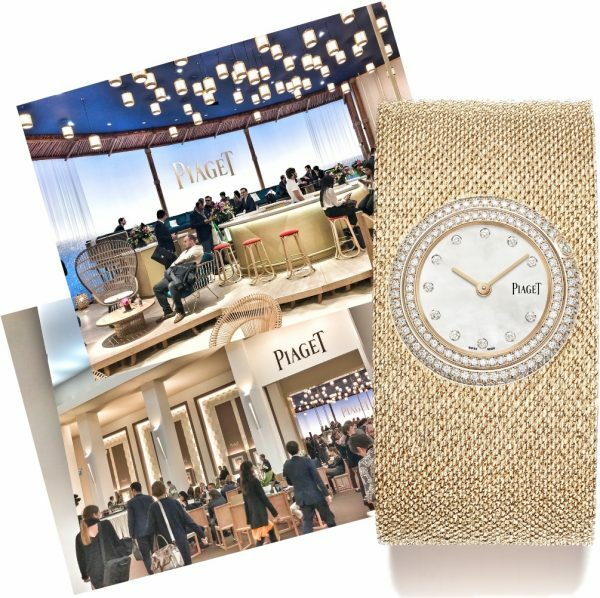 A booth filled with sand for a little time out at the beach – a perfect backdrop to show the expert application of gold-working, a skill for which the brand is historically famed. 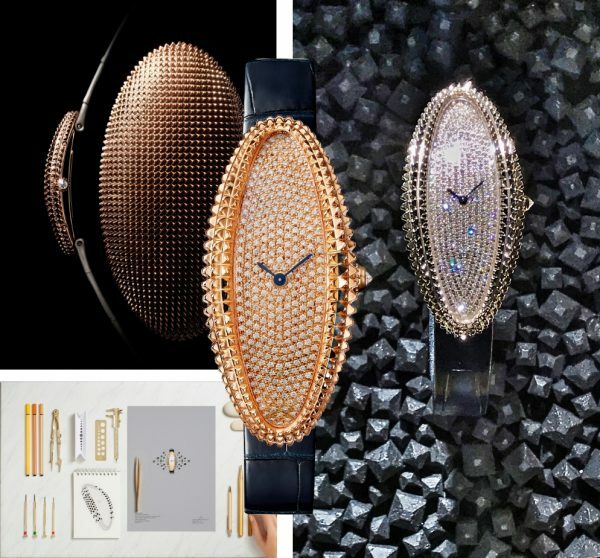 Pink gold set with 162 diamonds, 29mm, gold Milanese mesh strap. One the sky is the limited. 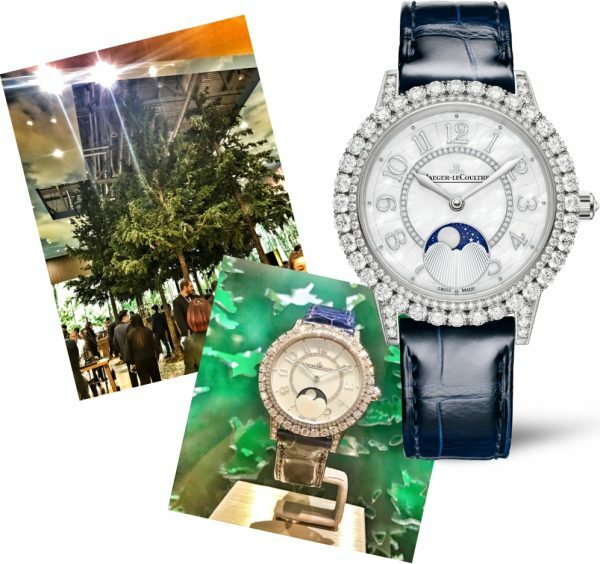 Nature played an important role at Jaeger Le-Coultre. White gold case with mother-of-pearl dial and polished rhodium-plated appliqués, diamonds ~168 (~3.43 carats), calibre : 925B/1. Women are in for a treat at Cartier. Part of the Maison since 1912, the Baignoire features an ellipsis-shaped dial and earned its unusual name in the late 1950s thanks to its strong resemblance to a bathtub. Extra-large model, pink gold, dial set with brilliant-cut diamonds (293 diamonds,~1.50 carats), dark alligator leather strap, manual movement 1917 MC. During the next days, I will show you much more as the most distinguished models deserve their own post, don’t you think? Stay tuned! 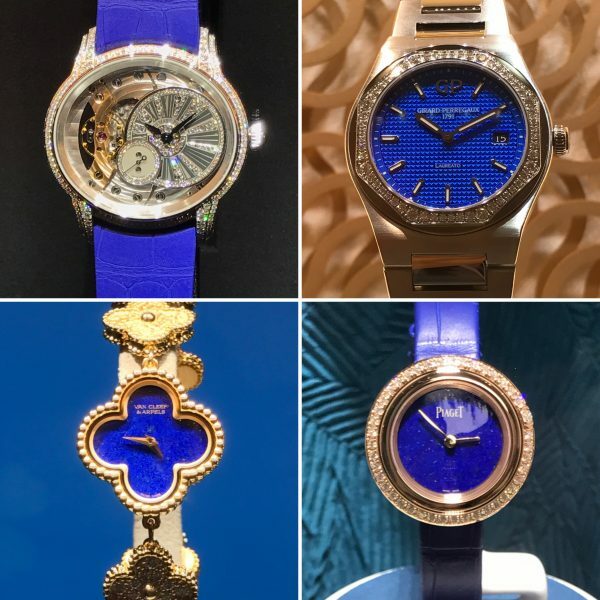 The colour of kings, blue, was unquestionably one of the stars of the SIHH 2018 (Salon International de la Haute Horlogerie), a unisex shade for both, men and women, that recounts watchmaking’s noble origins. 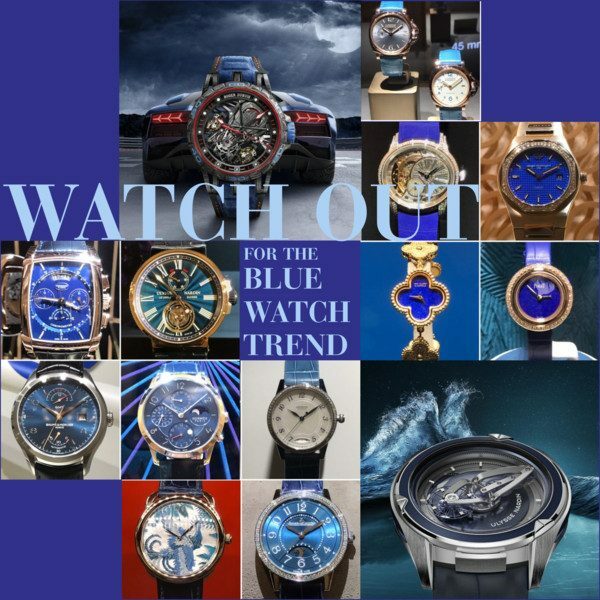 Once the exception to the rule, blue has become one of watchmakers’ go-to colours. Indigo or azure, sky or cerulean, teal or navy, the year’s collections have revealed a vast palette of fashionably chic shades. Dials as blue as the ocean’s deep or as luminous as the sky, diamonds embellishing watches to ignite desire, colourful straps that bring originality to the wrist. Whether matched with the soft sheen of pink gold, the warmth of yellow gold, or contrasting with the icy purity of steel, blue has the faculty to adapt to every style and material. 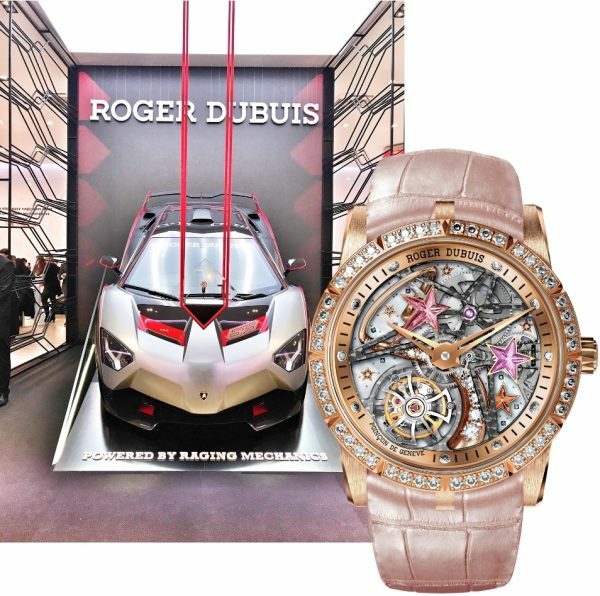 Roger Dubuis dares to be rare once again and goes where others fear to tread – by launching colourful iterations of its iconic Excalibur line in conjunction with partners Perfect Fit Pirelli and Raging Mechanics Lamborghini Squadra Corse at SIHH 2018. 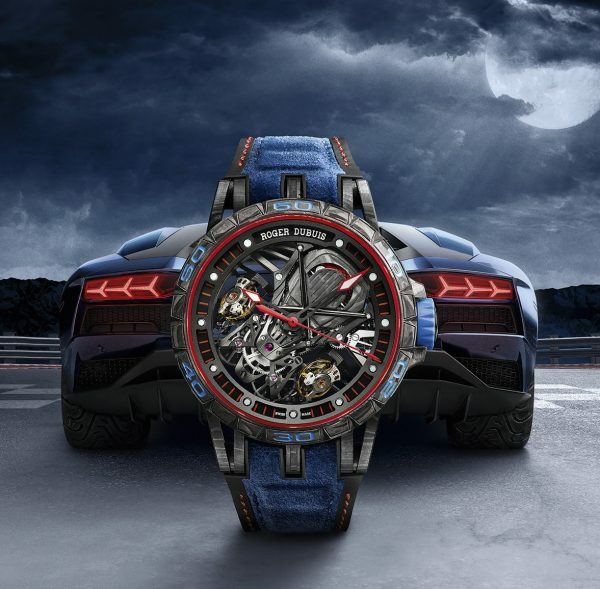 Offering yet another stunning example of highly complicated watchmaking inspired by the automotive world, the Roger Dubuis x Lamborghini Squadra Corse partnership roars to life in 2018 with the 45 mm Excalibur Aventador S Blue vying for pole position by being crafted from the same C-SMC carbon as that used on the actual Lamborghini cars. 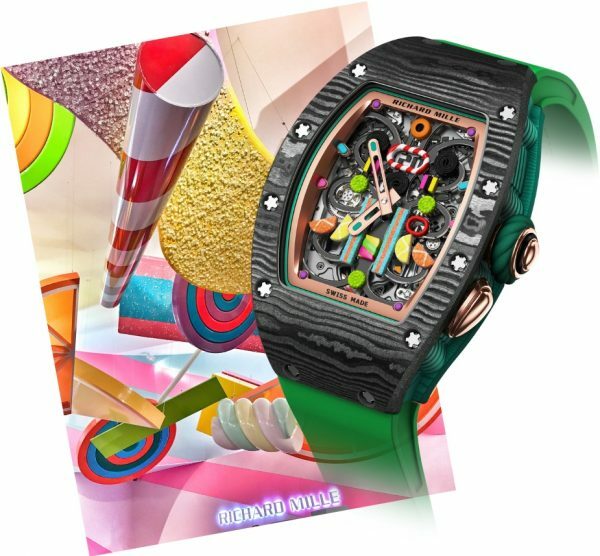 Introducing the first automatic watch in the Freak Collection, the Freak Vision. 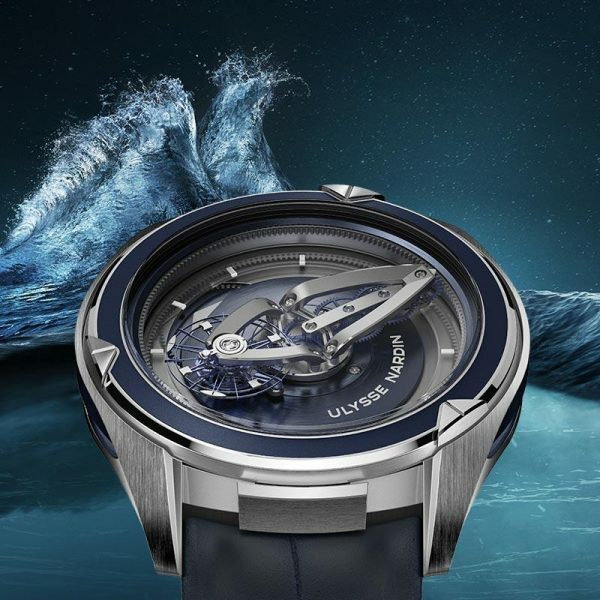 Among the game-changers: a super-light silicium balance wheel with nickel mass elements and stabilizing micro-blades and a new case design made even thinner by a box-domed crystal. Time is still indicated in the «Freak» manner that sets the collection apart: by the baguette movement itself, a 50 hours «flying carrousel» rotating around its own axis. Yet the design components are completely different. The new 3D carved upper bridge is inspired by a boat’s hull. Finally, the entire 45mm platinum case itself is new—horns, bezel, the rubber on the side—making for a look that is much more open and generous. One is more beautiful than the other… the decision is all yours.